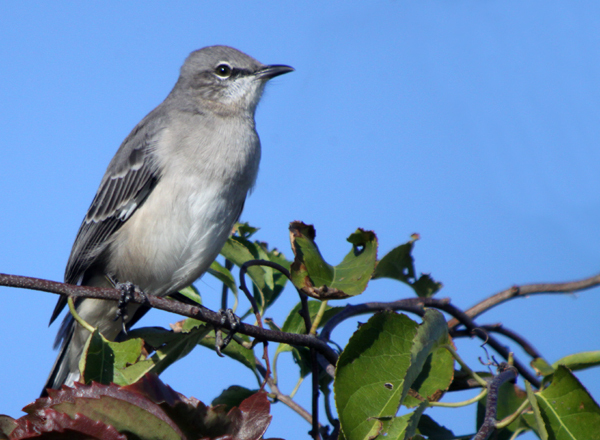 On a recent visit to Fort Tilden I couldn’t help noticing Northern Mockingbirds everywhere. They either sang or scolded from every clump of bushes and trees and the white patches in their wings and tails flashed from every direction as they chased each other and other birds. Despite their ubiquity, sharp appearance, and many-tongued vocabulary I often find myself completely ignoring mockingbirds. Familiarity does indeed breed contempt, I guess, so I made it my special mission while at Fort Tilden to focus my digiscoping rig on some mockers, much to the dismay of my fellow birders, who couldn’t understand why I needed to digiscope such a common species when there were potential rarities to be found. 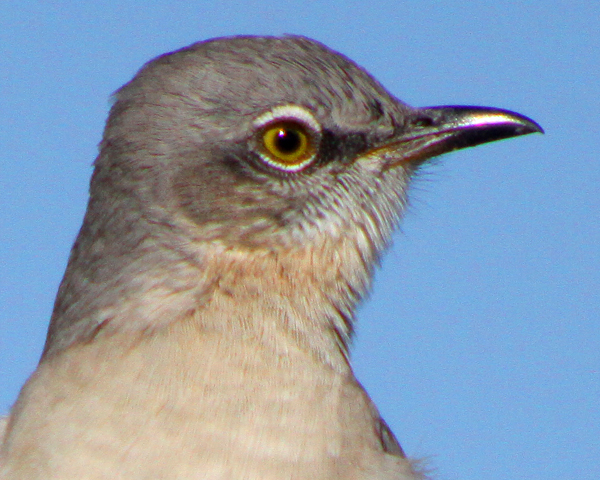 It is only fitting to take pictures of Northern Mockingbirds along the barrier beaches of New York. 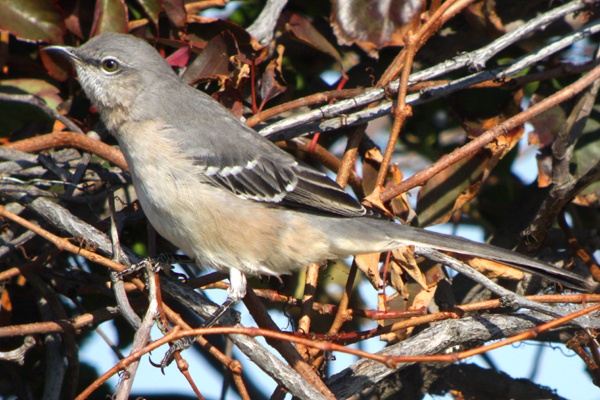 The beaches were the first stronghold of the mockingbird in New York State as it made its inexorable range expansion to the north (and they occurred along the coast as long ago as the mid-1800s). Oddly though, the first nesting record wasn’t until 1925 and that was in the western part of the state. Now that one can find mockingbirds scattered throughout New York wherever the elevation isn’t too high* it might be difficult to believe that there was a time when seeing a mocker in the Empire State was a big deal. It is amazing the changes that a short period of time can have on the range of a species, especially when humans are radically altering the landscape. Regardless of the history of Northern Mockingbirds in New York they are here now and I enjoyed watching and digiscoping them. I hope you like the images I got! 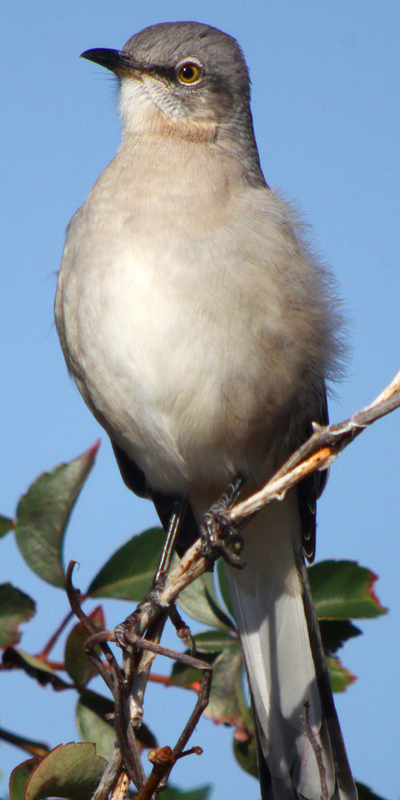 If you want to learn more about mockingbirds in general, if you want to see the answers to questions that people frequently ask about mockingbirds or if you want to just see a mangy mockingbird then 10,000 Birds is the place for you! This post has been submitted to Bird Photography Weekly #113. Go check it out! 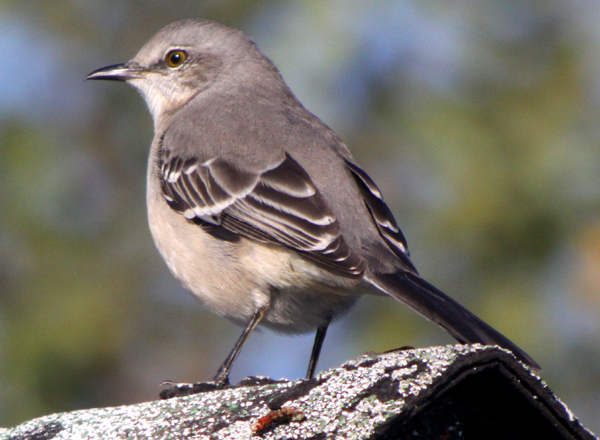 *Even though the southeastern and central portions of the state are clearly the mockingbird’s strongholds in New York they can be found anywhere outside of the Adirondacks, Catskills, and the Tug Hill Plateau. 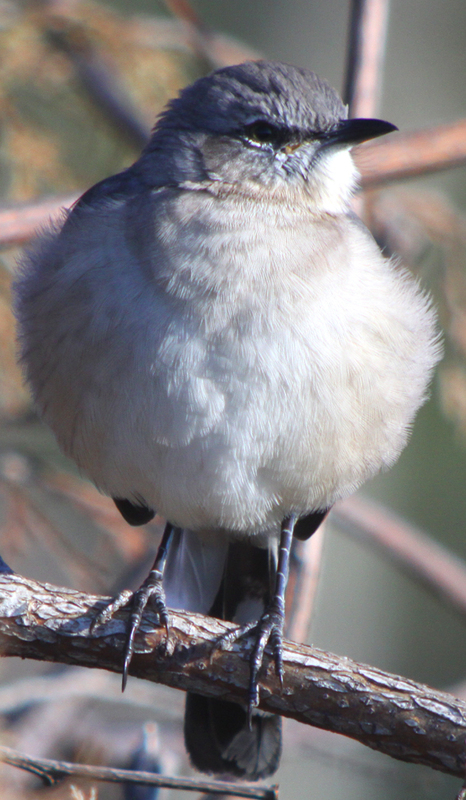 By the way, all the information here about the mockingbird’s history in New York is gleaned from The Second Atlas of Breeding Birds in New York State. Wonderful captures of one of my favorite birds!! Thanks for sharing! Very nice photos of a common in many areas but super cool bird. Very very common here in central Florida. Many days it is the only bird I see. I love mockers – so thank you, Corey, for the history, the links and, especially, the photos! When I was a kid growing up in and around the city, we never saw them. I thought them exotic when I visited Florida. Then I lived in Texas for 16 years, where mockingbirds are EVERYWHERE. I became completely fascinated by them. Love their singing, their smarts, their coloring. Back in NYC, I’m always happy to see & hear them. Hey just because a bird is common is no reason to mock it 😉 Seriously though, I love mockingbirds. How many birds do you know that can sing for what seems like minutes at a time without repeating a phrase? You have some beautiful shots there Corey, my favorite being the one on the roof peak. Nice bokeh and tack sharp too! …sometimes I look right past them too, but I always come back to them when they start singing. They are handsome too. Nice feature on a sometimes overlooked bird!